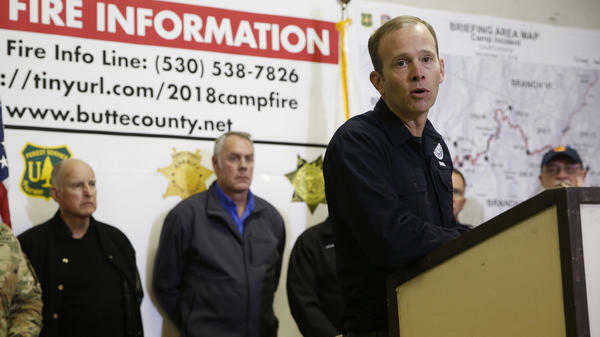 Brock Long is stepping down from his post as head of the Federal Emergency Management Agency. Brock Long, who led the Federal Emergency Management Agency during 220 declared disasters since 2017, announced his resignation Wednesday. In a statement, Long, 43, said "While this has been the opportunity of the lifetime, it is time for me to go home to my family — my beautiful wife and two incredible boys." William "Brock" Long has led FEMA since June 2017. A former state emergency management director in Alabama, Long was faced with immediate challenges in the federal post, including hurricanes Harvey in Texas and Maria in Puerto Rico. FEMA's response to Maria was widely criticized as slow and inadequate. Long was also found by the Department Of Homeland Security's inspector general to have improperly used government vehicles and resources to travel back to his North Carolina home. Homeland Security Secretary Kirstjen Nielsen said of Long in a statement, "I appreciate his tireless dedication to FEMA and his commitment to fostering a culture of preparedness across the nation." Nielsen said Deputy Administrator Pete Gaynor will become acting FEMA administrator upon Long's departure. It's not clear how much longer Long will remain at his position.